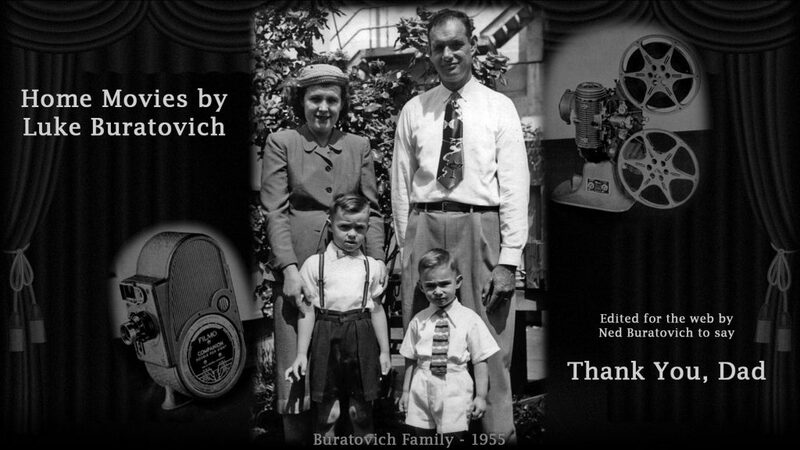 My dad, Luke Buratovich, documented family events for 30 years with his 8mm movie camera. I wanted to give dad’s old movies a new venue for viewing, on the web, to honor the memory of my dad. I will send email to this list when a new movie clip is posted to this site. I probably already have your email in my personal address book, but when you add it to this list, then I know you are OK with me sending you new movie announcements. This list will be used ONLY to notify you about new movie clips posted to this site.